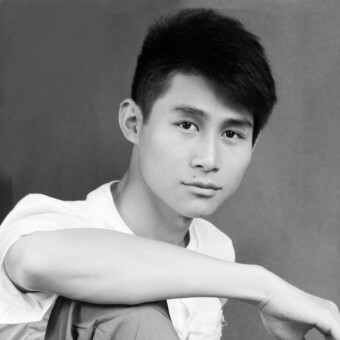 Editor Frank Scott (FS) from DesignPRWire has interviewed designer Zhipeng Kang (ZK) for A’ Design Award and Competition. You can access the full profile of Zhipeng Kang by clicking here. ZK: My father is an oil painter . He tought me painting when I was a little boy . So I like drawing some pictures in my free time . Then I was fascinated by the beautiful skyscrapers on the magazines , and I painted a lot of pictures of skyscrapers . At that moment , I decided to be a designer . ZK: To me , design is a form of creation . Creating something which can benefit people , can pleasure people and satisfy people . ZK: I like architecture design and landscape art most . ZK: I think designers should try our best to make the world a better place for all creatures to live in . To find a way improve the environment conditions . To think a way promoting the relationship between human and environment . ZK: I think the ability of observation and thinking is important . Inspirations are everywhere around you , the key is to find them . So we need the capacity to insight into everything . I believe that thinking is the fundamentality of design . Design is a kind of creation , and thinking make the creation rational , graceful , and realizable . ZK: When I have a basic idea of my design project , I will use mark pen to draw sketches .Accroding to the sketches , I can modify the design . After I confirmed the design , I will finish the rendering with 3DMAX , Revit , or grasshopper . ZK: I spent most of the time at night to design projects , because I can focus on the work at night . ZK: Normally a month . ZK: I hope to get an opportunity to work in a nice design studio . ZK: So far I design works myself , but I really expected to join in a wonderful team . Press Members: Register and login to request a custom interview with Zhipeng Kang.